I recently bought an Ashbory bass from Large Sound, and it rocks! But it is blue, and came with a red power indicator LED, and I just had to tinker with it. 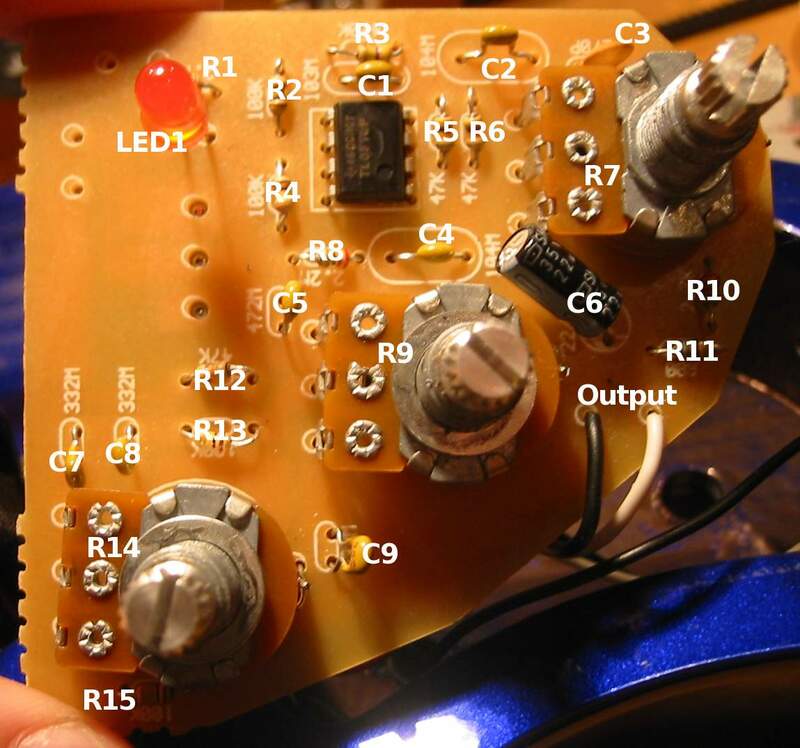 In the process, I traced out the schematic for the bass' preamp, which may be useful to other folk. So here it is -- click on the image to get a high-quality PDF. 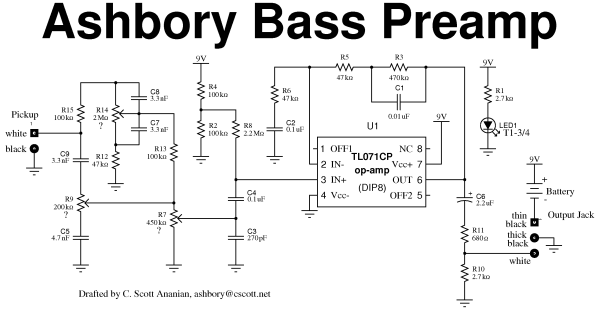 I drew the schematic using XCircuit; the original source file is ashbory.ps. Note that the silkscreen for the circuit board doesn't indicate the values of the adjustable potentiometers R7, R9, and R14, as it does for the other components. I noted the approximate values I measured for these components in-circuit, but these could easily be off. If anyone has cause to desolder these pots from the circuit board and measure them in isolation, I'd appreciate corrections to (or confirmations of) these values. Here's my trivial modification: I replaced the stock red LED with a blue one, and added a 10k resistor in parallel with R1 to keep the current constant (the blue LED has a higher forward voltage than the old one; I measured 2.6mA of current through the old LED). 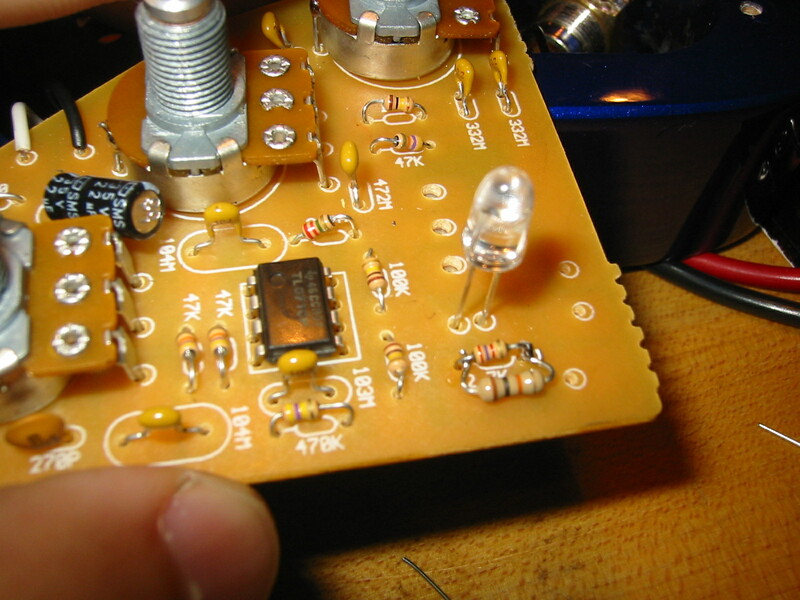 If you try this yourself, note that the flat side of the LED must be on the left as the picture illustrates. 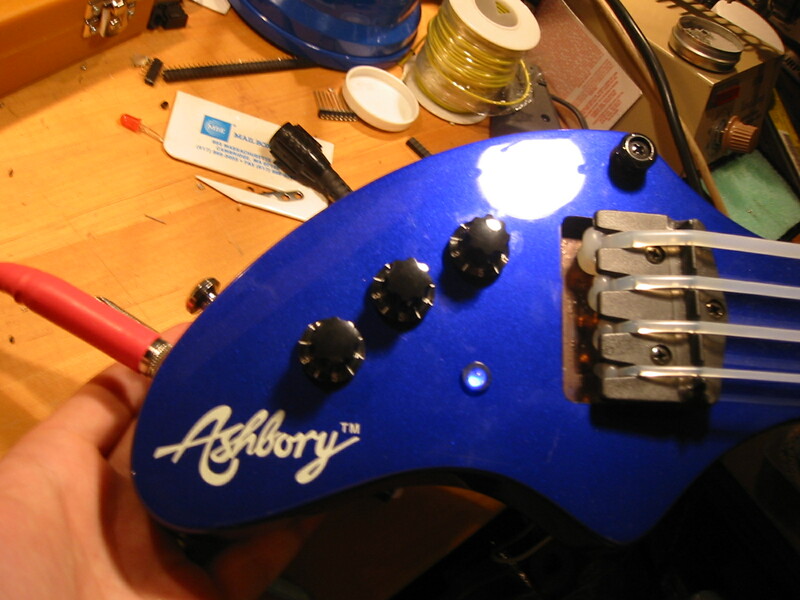 And here's my reassembled bass, with fancy blue light! 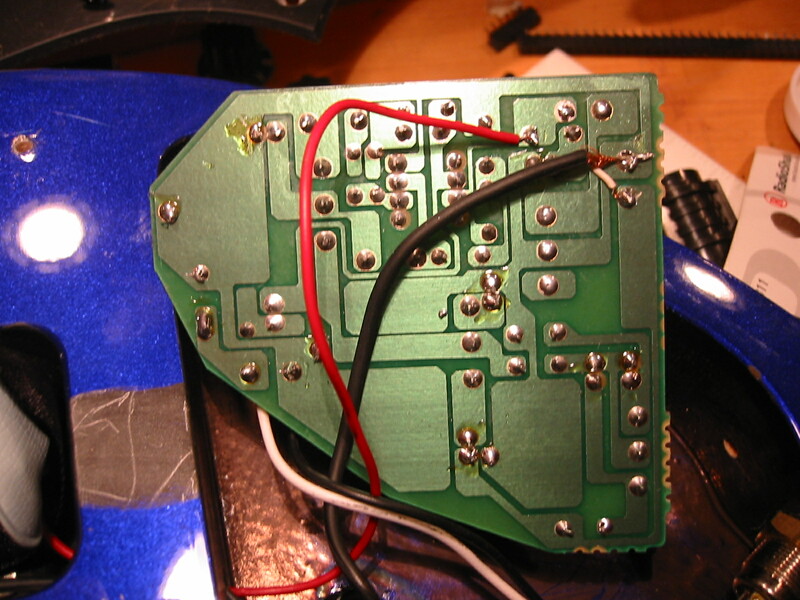 Note also that I performed the standard strap button relocation mod on my bass as well. If you relocate, be very careful to make sure that the strap clears the 1/4" jack and cord when the bass is plugged in; I had to notch my strap to accomodate the cord with the positioning shown. Hope you've found this useful! Copyright © 2006 C. Scott Ananian.